Boko Haram must be considered the most advanced, well prepared, disciplined and solid financed terror organisation in 50 years. Very effective. Generic effective “guerrilla marketing” by killing at random to establish presence and fear. 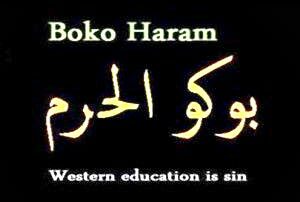 Attack Specific targets linked to the mission of Boko Haram “all western influence is forbidden”, such as educational institutions, schools, universities. Attacks in Europe/UK and other regions where Boko Haram and specific targets have presence. Traditional funding mechanics of terror groups are no longer effective due to the advanced monitoring possibilities of the intelligence services (NSA, Echelon) and widely infiltrated Mosques. Boko Haram chose an unorthodox method for fundraising; perpetrating crime with a Low Probability of Detection, (419) Advance Fee Fraud via Dating Sites (e.g. Match.com) known as love or romance scam. An effective way of raising and keeping money in places where necessary, to acquire resources for attacks and thus staying under the radar of government agencies. Targets of Boko Haram in Europe are not yet listed. Boko Haram has supporters among Nigerians and transnational crime networks in the Diaspora. A "movement" was developed in cooperation with Al Qaeda controlled ex-pats in Europe. Reinforced by veterans of the Jihad and Nigerians that were or still are fighting in the Middle East. ISIS Imminent Terror Alert 14 December 2014 !